The last several years have seen a surge in the progress, adaptation, and assimilation of virtual reality (VR) into many areas of everyday life. While we can now see a near future where people everywhere will be using VR technology practically, this was not always the case. From the days when virtual reality was little more than a far-reaching dream of science fiction, to the first halting steps into fixed VR apparatuses, to the current rising wave of wearable games and training, learn how VR became what it is today. People have long been imagining the concept of removing ourselves from our physical bodies to fully experience other worlds. Perhaps the first time someone committed the idea to print was in 1933, in Laurance Manning’s series, “The Man Who Awoke.” The series aptly predicts and inspires the future by describing people connecting to a machine that replaces their physical senses with virtual ones, allowing them to live new lives. 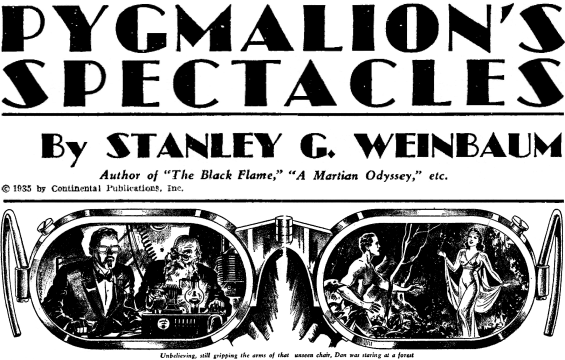 Stanley G. Weinbaum’s 1935 work “Pygmalion's Spectacles” gets us even closer to the modern idea, featuring goggles that bring people into holograms of experiences, allowing them to see, hear, and touch events they were not present for. The book cover, revealing how close to the current idea it got. 1982 brought VR to the big screen in the seminal “Tron,” giving viewers a fantastical journey of life inside a virtual world, filled with futuristic excitement. It focused on immersion and artificial intelligence as opposed to real world applications, however. 1992’s Lawnmower man offered a more sober-but no less engaging–view of the possibilities of a virtual world. The film also leaned heavily on the idea of using VR simulations for real-world training, a concept that is finally coming to fruition now. Mamoru Oshii’s 1995 cyberpunk opus “Ghost in the Shell” meanwhile, gave us a vision of a world where cybernetic and virtual beings are fully integrated into everyday life, where almost every citizen has the ability to link with computers. In 1999, “The Matrix” took this a step further, imagining mankind living almost entirely in virtual reality so convincing that few even realized it. It also touches on enhanced training of skills in VR for real life use. As a worldwide phenomenon, the Matrix really pushed this idea and inspired more use. Most recently, 2018’s adaptation of the novel “Ready Play One” gives us a vision of VR as a matter-of-course, fully a part of everyone’s day-today lives, and in its dystopic vision, possibly the only part of life that has any hope left. Science fiction is often the precursor to science fact. Its bold visions inspire current and to-be scientists and engineers, who chase their creation for their entire careers. In this sense, people have been trying to create life-like virtual experiences for much longer than the general public might think. 1961 saw the debut of Headsight, a paroscope that tracks head movement with a headset on, rotating a remote camera in tandem with head rotation while showing camera’s views to the wearer. While this mechanical solution wasn’t virtual, using 1-to-1 movements as impulses to affect a remote machine is exactly the kind of progress VR would build upon. The following year saw the introduction of Morton Heilig’s Sensorama, a movie in a theater with other sensations created by a machine, including fans, odor-emitters, and a moving chair, to bring more reality to the cinema experience. You could class this in the vein of carnaval gimmicks, but the concept of bringing more of our senses into entertainment is foundational to VR. While early mechanical attempts build the idea, VR wouldn’t truly take off until computers started to become more widely used. As early as 1968, Ivan Sutherland and Bob Sproull created a head-mounted display suspended from the ceiling. Called the “Sword of Damocles,” it put the user in a wireframe computer graphics simulation. This was the first virtual reality, and sparse as it was, nothing afterwards would be possible without it. The Cave, an immersive cubic room that functioned like Star Trek’s “Holodeck” was created in 1991 in part by our founder, Pat Banerjee, Ph.D. The project saw commercial success, used by corporations like Caterpillar and Boeing for training their technicians about incredibly complex machines, akin to an interactive manual. More recently and practicable is the currently ubiquitous Google Street View. Anyone with an internet connection can use it to view almost anywhere in the world in full HD quality, rotating their perspective in 360 degrees as though they were there. For a long time, the field doing the most to push forward the technology of VR has been the video game industry, always in search of new more immersive experiences in a competitive consumer market. Early entries like the Nintendo Power Glove built on the Data Glove to make interacting with games more realistic. 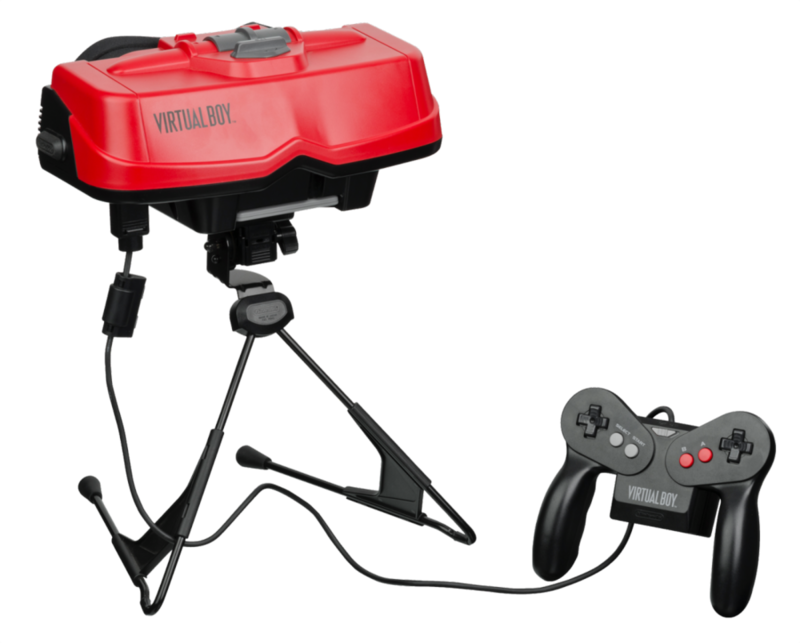 The Nintendo Virtual Boy and Sega VR pushed forward with head mounted VR displaces. Both were commercial flops, but they nevertheless kept the dream alive in the imagination of young gamers. In 2006, Nintendo again pushed the envelope with one of the most successful video game consoles of all time, the Wii. Though it had nothing in the way of goggles, their gyroscopic controllers introduced the public at large to in-home motion controls, which would become instrumental to the way VR would work. After all, it’s not really virtual reality if it doesn’t feel like you’re moving around within it to affect its world. Microsoft Xbox 360 had the Kinect, which used spatially-aware cameras to turn one’s own body into the controller, to varying degrees of success. 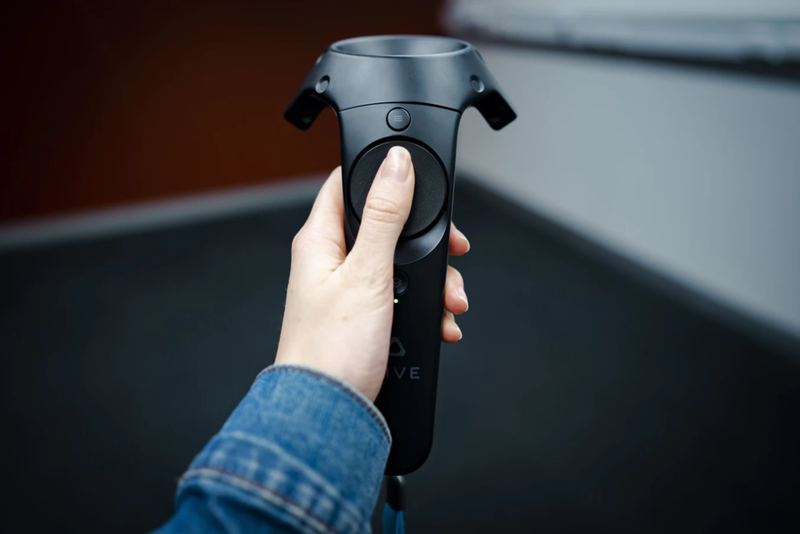 Whatever progress was made behind the scenes in development labs and in the business world, the bits and pieces of virtual reality progress in gaming kept the culture interested in the concept coming to market. As with most technology, the rate of VR advancement has increased exponentially with consumer interest and investment dollars flowing at an all time high. Advanced VR devices like the Oculus Rift, HTC Vive, and Playstation VR are now commercially viable and technically proficient to a level quite close to what was imagined in all those sci-fi works over the years. These devices are useable for both games and real-life training applications, and even things like therapy. And the tech hasn’t just gotten more advanced, it’s also become proficient across the price spectrum. Thanks to smartphone-based headsets like Google Cardboard and Samsung Gear VR, people can experience VR without investing $1000 in hardware alone. No doubt, there will be even more advancements in the future. The take away from all of this is that VR has a long, bright future ahead of it. Whether in terms of gaming, or more real-life applications in medicine and therapy, there’s much to look forward to in watching this genre of science fiction become science fact.